Six weeks ago, Prime Minister Xanana Gusmão formally nominated two leaders from our oil and gas sector to develop investment policy for Timor-Leste’s sovereign wealth fund. Unnoticed by the media and politicians, this action was not mentioned during the recent election campaign. However, La’o Hamutuk believes it foreshadows additional concentration of Timor-Leste’s limited wealth in the petroleum sector, which could endanger our children’s futures. La’o Hamutuk often explains how the resource curse affects Timor-Leste's economy, policies and governance. One of the more dangerous symptoms is the “capture” of the policy-making process by the petroleum sector. Because oil and gas exports comprise most of our entire economy and paid for 97% of state expenditures in 2011, they attract capable, persuasive, imaginative people. When they do their jobs well, these people make enticing proposals and convincing arguments to develop the petroleum sector which divert attention and resources from health, education, agriculture, light industry, rural infrastructure and other essential components of sustainable, equitable, inclusive development. This is why the Tasi Mane project is the centerpiece of the National Strategic Development Plan, even though it is financially dubious, may be impossible to carry out and will create very few jobs. Last year, the Government and Parliament revised Timor-Leste’s Petroleum Fund Law, loosening rules about sustainable spending and secure investments, and weakening the governance of the Fund. One change was to enlarge the Fund’s Investment Advisory Board (IAB), which develops investment policy and makes recommendations to the Minister of Finance about how the Fund should be invested. On 1 June, Prime Minister Xanana Gusmão appointed two new members to the IAB. Dispatch No. 016/GPM/2012 named Francisco Monteiro and Gualdino da Silva to join Olgário de Castro, Kevin Bailey and Torres Trovik. Director of the Treasury Sara Lobo Brites (responsible for the nation’s fiscal policies) and Central Bank Head Abraão de Vasconselos (responsible for Timor-Leste's monetary policies and Operational Manager of the Petroleum Fund) go to IAB meetings but can no longer vote. According to this Dispatch, “Both [new] nominees have proven experience in the oil sector and in management and investment.” Francisco and Gualdino have already participated in at least two IAB meetings. Unfortunately, the minutes of those meetings are not yet on the Central Bank website, and the Jornál da República (Official Gazette) has not yet published this Dispatch on its website or in its printed edition. Francisco da Costa Monteiro became President of the new TimorGAP national oil company in September 2011. In the early 2000’s, Francisco worked under Alfredo Pires in the office of President Xanana Gusmão. After Prime Minister Gusmão appointed Pires to be Secretary of State for Natural Resources in 2007, Francisco interrupted his geology Ph.D. studies overseas to return as Pires’ Executive Advisor. He leads the Government’s Sunrise Task Force and is on the Executive Board of the National Petroleum Authority. In addition, Francisco represents Timor-Leste on both Australia-Timor-Leste supervisory bodies for the Joint Petroleum Development Area: the Joint Commission which oversees the ANP and the Sunrise Commission which discuses technical issues about the Sunrise project. As President of TimorGAP, Francisco is responsible to build and operate the multi-billion-dollar Tasi Mane project, which will include a supply base for offshore oil operations in Suai, an oil refinery in Betano, the Sunrise LNG plant in Beaçu, a 150 km highway, ports, airports, new towns and other infrastructure. Tasi Mane will receive $163 million from the State Budget in 2012 and much more in the future. Gualdino Carmo da Silva became President of the National Petroleum Authority (ANP) when it was created in 2008 after serving as Executive Director of its predecessor, the Timor Sea Designated Authority. The ANP signs Timor-Leste’s contracts with oil companies, and regulates all aspects of petroleum operations in Timor-Leste proper and in the TL-Australia Joint Development Area in the Timor Sea, including exploration, production, processing, refining, distribution and sales. It also manages bidding for new exploration contracts and collects about $2 billion in royalties (FTP) from the companies every year. Although all money paid by oil companies is required to be deposited into the Petroleum Fund, the ANP retains a few million dollars for its own activities. Although Timor Leste has a shortage of skilled, educated people, expertise is not so rare that the busy people responsible to regulate and build our oil industry should spend their time on financial investment management, an area in which they have no training or experience. La’o Hamutuk believes that there may be another reason for appointing Francisco and Gualdino to the IAB – to encourage the investment of the Petroleum Fund in the petroleum projects in Timor-Leste, particularly the Tasi Mane project or the Sunrise pipeline. Private investors are wary about expecting Tasi Mane to provide a good return on their money, and we think it would be foolhardy to risk Timor-Leste’s sole resource endowment on such a risky project. We agree with what Minister of Finance Emilia Pires said last year: that public money spent or invested to develop Timor-Leste should be appropriated through the State Budget in a transparent, democratic process. Such decisions should be made by our elected Parliament, not by “investment advisers.” Article 15.1 of the revised Petroleum Fund Law says that the Fund can only be invested outside Timor-Leste, in internationally recognized jurisdictions, and we hope that this will continue to be followed in spirit as well as in letter. In early July, the IAB received unwelcome publicity when newspapers reported a secretly recorded conversation. 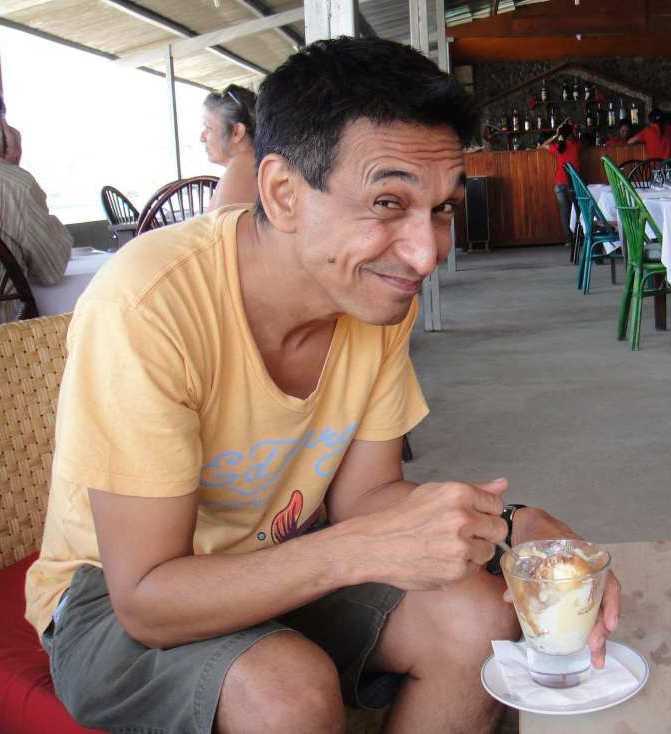 In a Darwin coffee shop in 2010, IAB Chairman Olgário de Castro bragged about hundreds of millions of dollars to share with his friends, saying “I want the money, not the power.” La’o Hamutuk’s blog discusses these revelations, hoping that de Castro can clear his name but pointing out that $10 billion dollars owned by a small, impoverished, new nation with little experience is a tempting target for unscrupulous, greedy people. One scam was attempted by Asian Champ Investments in 2009, and we are troubled by Mr. de Castro's references to aspects of that attempted theft -- including perpetrator Datuk Edward Ong, Swiss and Singapore bank accounts, trips to London and infrastructure deals. 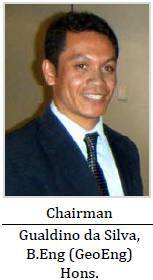 The IAB elected Mr. de Castro as its Chairman “for one year at a time” on 5 May 2008, and he has been re-elected only once, on 15 April 2010. We hope they pay more attention to protecting Timor-Leste’s investments than they do to Article 2.2 of their own rules of procedure. The Investment Advisory Board has at least three members whose priority may be other than the security and return on Timor-Leste’s Petroleum Fund, which is essential to support financial stability and intergenerational equity for this country. We hope that the Board does not lose its focus, and that the Minister of Finance and Prime Minister in the Fifth Constitutional Government will ensure that our resources are safely protected, wisely invested, and effectively used for the long-term benefit of our people. The new board members are influencing the IAB's activity. It held its 28 June and 31 August meetings at the National Petroleum Authority, rather than at the Central Bank or World Bank offices. At the August meeting, the IAB elected ANP President Gualdino da Silva as acting chairman, "based on the fact that the chairman [Olgario de Castro] was not be able to attend the meeting and had earlier advised the Board that he was stepping aside from his duties as chairman for an indefinite period". In late September, La'o Hamutuk asked TimorGAP President (and IAB member) Francisco Monteiro whether Petroleum Fund monies are likely to be invested in the Tasi Mane project. He smiled and said this was not permitted by current law. It would be wise for the East Timorese to learn about the experience of Nauru. A tiny Pacific nation with a tiny population, made incredibly rich by phosphate. This wealth was squandered in a generation through extravagant spending and overseas investment that did not quite work out. Nauru today is an environmental wasteland due to the savagery with which it exploited its single lucrative resource, phosphate, as well as a junkyard of rusting hulks of vehicles that were once the playthings of the Nauruans. They offer a sad reminder to the current generation of the cost to the wealth that their parents once enjoyed which by rights should have also been theirs and of generations of Nauruans yet to come. I hope that we are wise enough to learn from the experiences of those who have walked the road of independence before us and be humble enough to recognise that their fate can be ours if we are not careful and repeat the same mistakes that they have made. Yes, It was sad to see what happened to Nauru. Some references cite investment advisorship. We in TImor-Leste should be wary of whom we employ to advise us on our investments. Joao Martires made a great point and is also the point made in this article. The problem here is the lack of transparency. Timor obviously lack credential and expertise in development and economics in whole. Nonetheless, if Timor government is open to criticism in what they plan to do with Timor Leste's limited resources they could be more productive. Not only that, such transparency leads to construtive feedback from knowledgable people who may not hold position in parliament. In a sense, one can sum this as follow 'a country is govern by it elected members but the power should really lies with the people'. To achieve this people of Timor should organize themself into interest groups that rally government for change and better policy. I am following Timor-Leste's development with interest for the last 3 years. I would suggest TL to learn from Malaysia on how we develop our nation well with Petroleum money via PETRONAS.